Every email that marketers send has approximately 15,000 potential renderings (and that’s using conservative math). There are a huge number of email clients in the world which are updated regularly, but rarely with any form of beta version or release notes. Due to the incredibly complex world of coding emails, along with a huge number of email clients and constant changes, email quickly becomes hard to build and maintain. 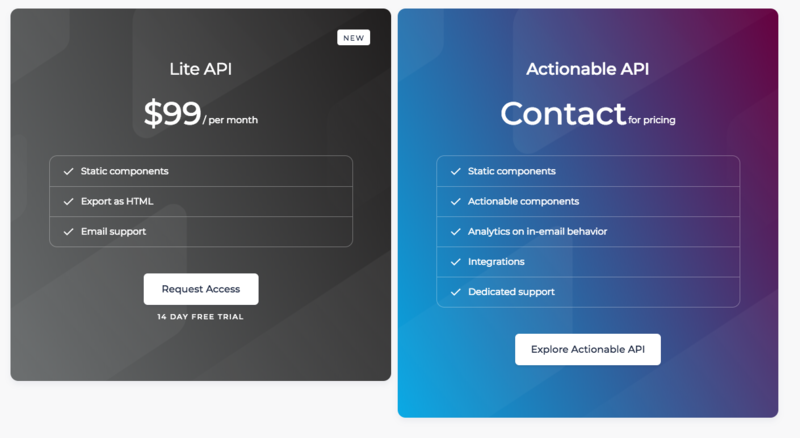 At REBEL we are known for actionable emails, and with our REBEL API we allow devs to build interactive emails via JSON to avoid all the ins and outs of email development. We’ve heard from our customers that they love utilizing JSON to build emails, and avoiding pesky email HTML. 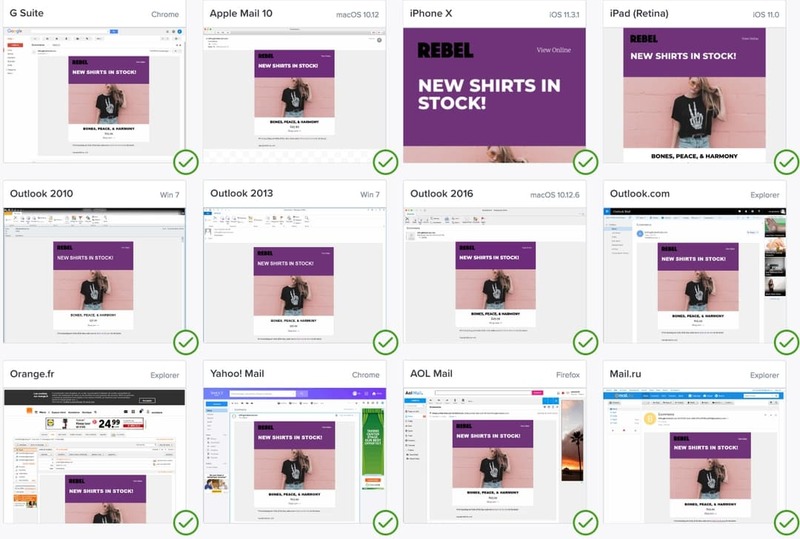 Some asked if they could use the same workflow for their non interactive emails. As specialists in email code we constantly monitor the changes in email client rendering, and we’re in the trenches researching, testing and improving our code to keep it cutting edge, lightweight and accessible. So everytime you build using our new Lite API, you will receive the most uptodate code available. No code maintenance is need by your team, we take care of all of it. With the Lite API we’ve included a host of reusable components. These components can be styled and combined to achieve very complex and customized layouts that would prove difficult in raw HTML. As with our other emails, you can send emails you generate with your existing email service provider. Send us JSON, and receive fully responsive, accessible, HTML emails that function beautifully across all email clients. Most emails are opened on a mobile device, emails built with Lite API are responsive for mobile across all major email clients. We monitor the changes in rendering across email clients and ensure the code you receive is up to date. 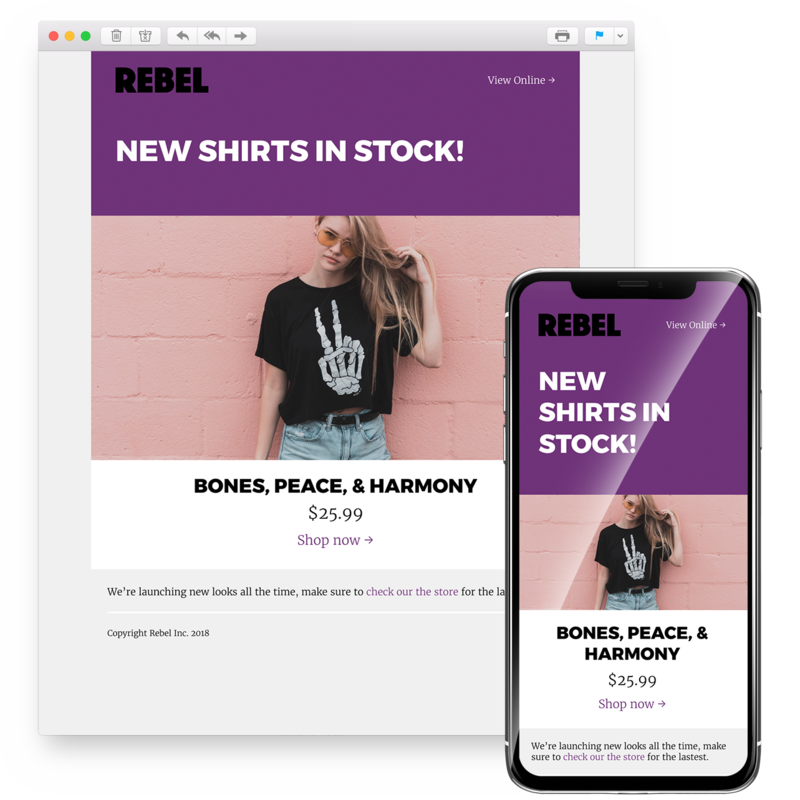 REBEL emails have been built with accessibility in mind for those with visual or other impairments in mind. We are offering a free 14 Day trial to new users and the Lite API will be $99/month thereafter. You can gain access to the beta by signing up on our site.